Look down: the plate is a masterpiece. Look around: the dining room exudes easy elegance. Look out: and the view takes your breath away. 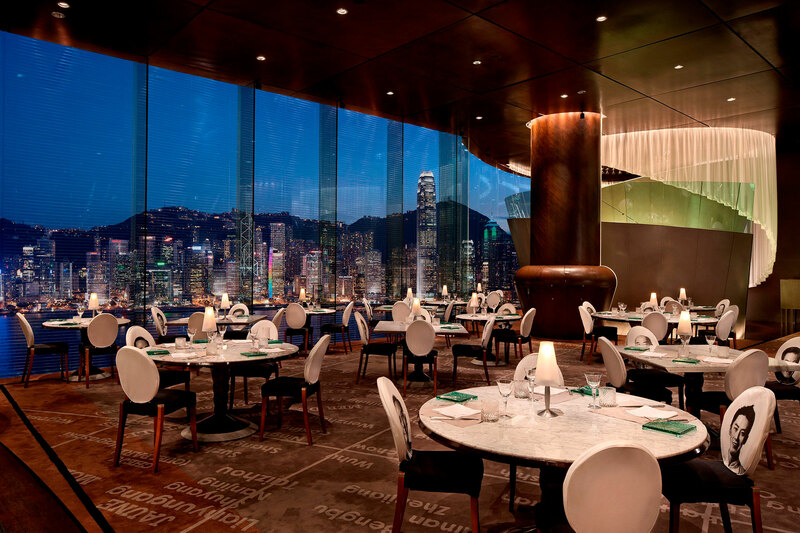 The trifecta is truly found in only the rarest of restaurants, where impeccable food competes with jaw-dropping vistas. 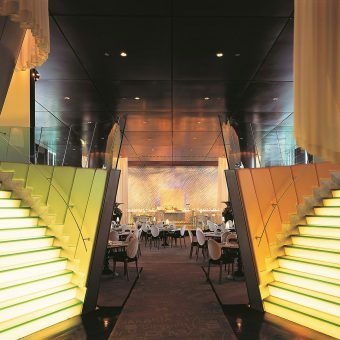 These unique locations promise unmistakably luxurious dining experiences impossible to forget. 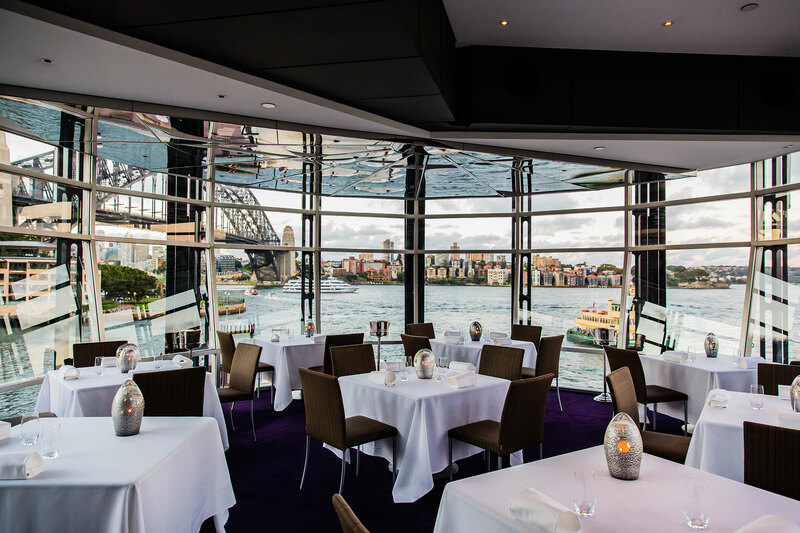 The Sydney Opera House is framed in all its glory by the windows of Quay from floor to ceiling. 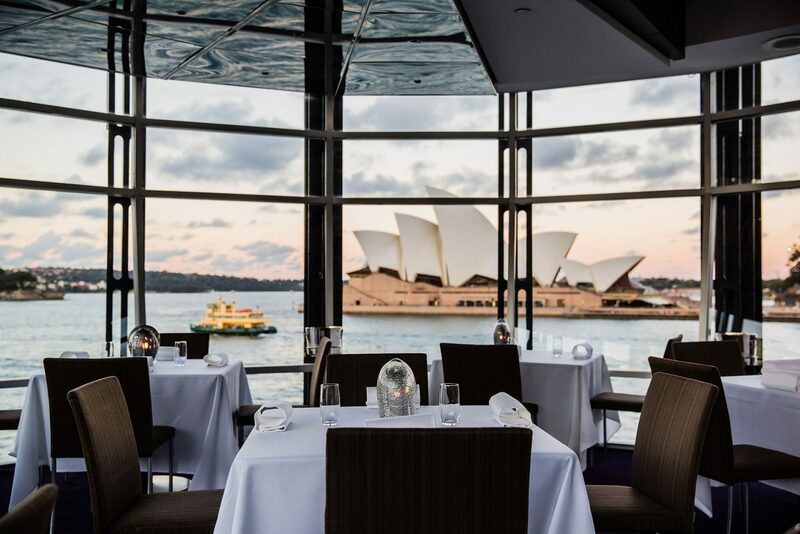 Nowhere else offers such a majestic yet intimate tableau of Australia’s famed harbour, with an equally stunning menu to match. 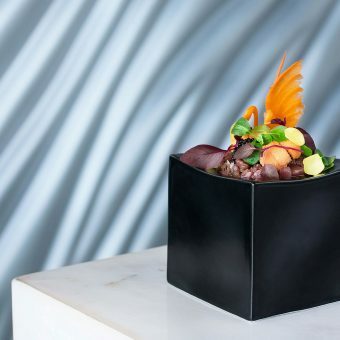 The playful, imaginative cooking of celebrity chef Peter Gilmore speaks to the heart of modern Australian cuisine, with its decided infusion of Asian flavours. Case in point: the signature mud crab congee with egg emulsion. 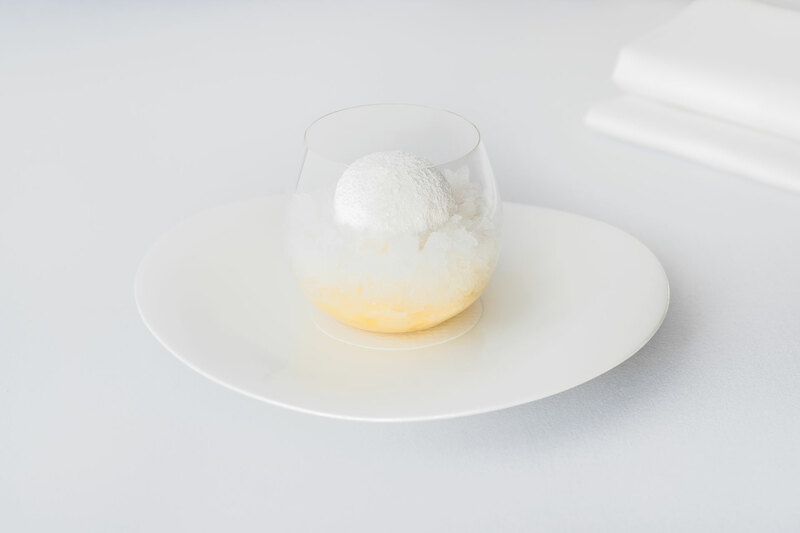 Yet Quay’s headliner remains its texturally intriguing dessert called ‘snow egg’, a sphere of ice cream cradled in shells of poached meringue and malt biscuit set on a bed of granite; seasonal fruit provide new iterations of the classic. A weekend dinner reservation here is notoriously booked up six months in advance. 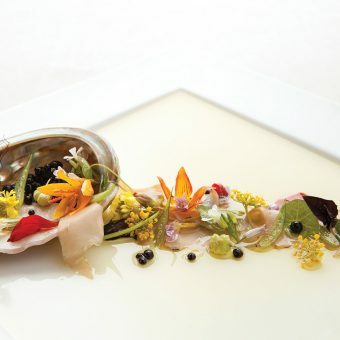 After all, Quay is among Australia’s most decorated restaurants – having coursed up and down the World’s 50 Best Restaurants List for nine years. To watch the sun dissolve into the offing as the sky blushes with a thousand shades of vermillion is surely one of the most magnificent shows on earth. 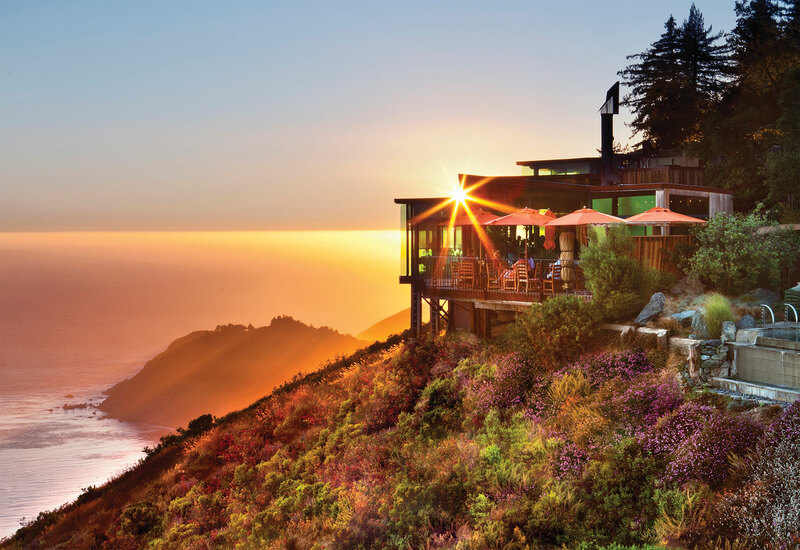 Sierra Mar in Big Sur, California has a front row seat to this daily magical hour that’s tough to beat. 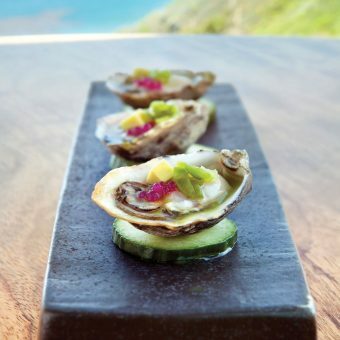 Housed at the exclusive Post Ranch Inn, the restaurant is perched high on a secluded cliff overlooking the Pacific Ocean. 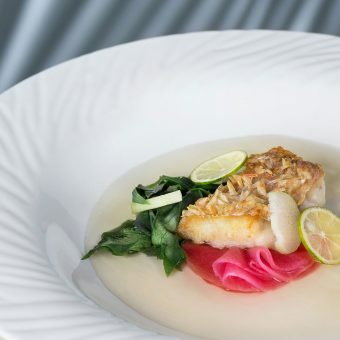 Guests not staying at the adults-only spa hotel may dine here for lunch or dinner, choosing from a full degustation experience or a more petite tasting menu with flavours and ingredients inspired by the region. The relaxed service gives patrons a chance to fully soak in the panoramic coastline, particularly during the evenings as sunset drifts into twilight and apéritif progresses into digestif. Modern bistro meets rustic ranch, Sierra Mar is acclaimed for its award-winning cellar, with more than 14,000 bottles and 2,600 labels. 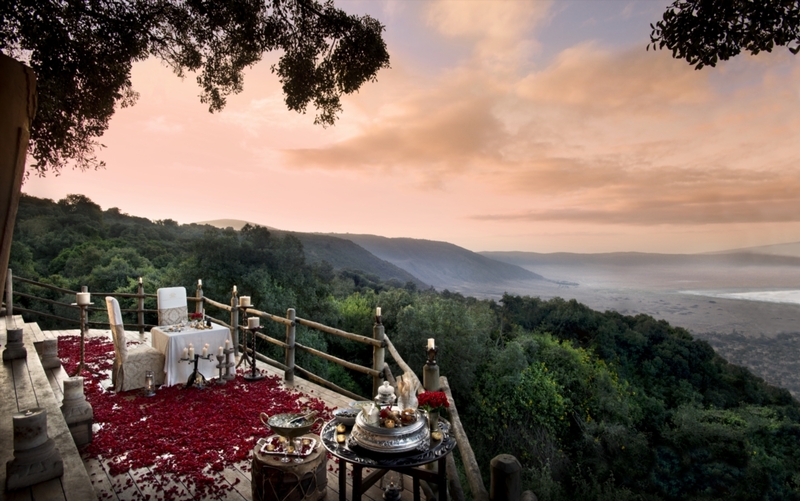 Tanzania’s Ngorongoro Crater is a natural marvel, a UNESCO World Heritage Site of staggering beauty. 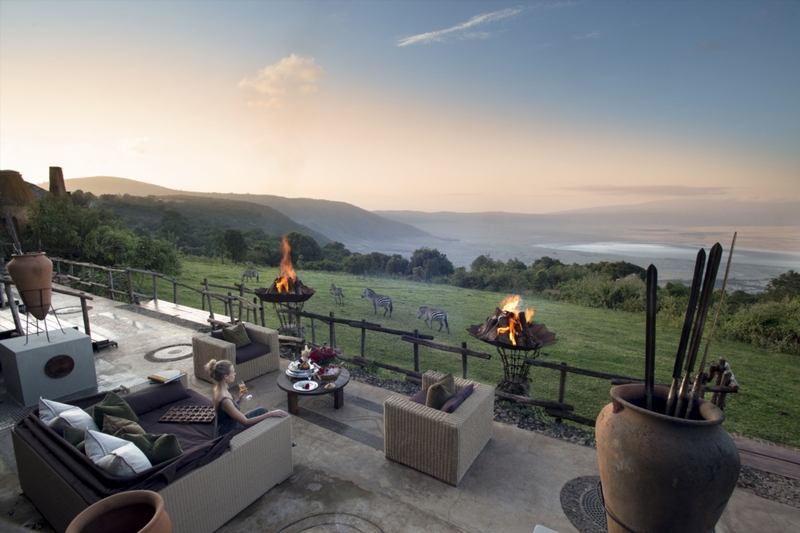 The andBeyond Ngorongoro Crater Lodge sits loftily on the very edge of the planet’s largest intact and unflooded volcanic caldera. This vibrant ecosystem teems with wildlife, where game roam freely on the crater floor, and Maasai herders live among predator and prey. The lodge itself is a hint of Versailles in the land of Maasai, mud-and-stick luxury homesteads appointed with baroque styled furnishings. 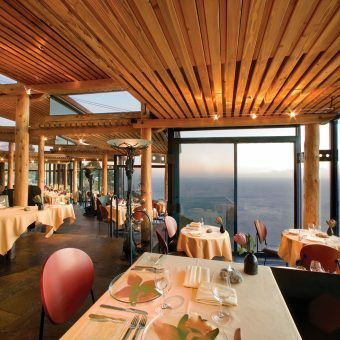 Meals at the all-inclusive retreat are served at the terraced restaurant boasting pan-African cuisine accompanied by expansive views of the crater and its inhabitants: flocks of flamingos dotting the soda lake, herds of zebras grazing the grasslands, and the ever-territorial resident prides of lions. The 265-square kilometer crater is, in fact, home to an estimated 25,000 large mammals, making it one of the most intensive safari game viewing (and photography) areas anywhere. This entry was posted in Featured, Published. Bookmark the permalink.